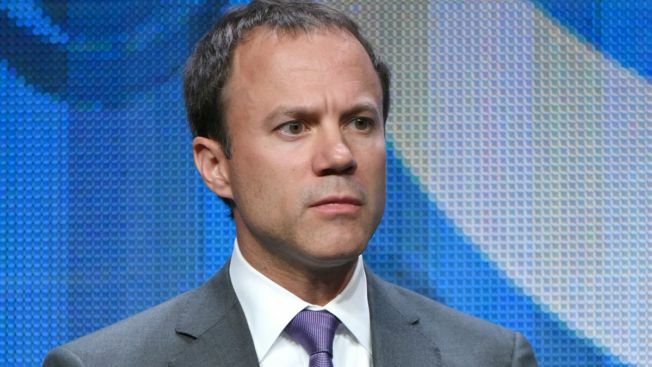 This Aug. 10, 2015, file photo shows CBS News President David Rhodes participate in the CBS News panel at the CBS Summer TCA Tour at the Beverly Hilton Hotel in Beverly Hills, Calif.
CBS said Sunday that its news division president, David Rhodes, is stepping down following a troubled year that saw morning anchor Charlie Rose and the top executive at "60 Minutes" lose their jobs following misconduct reports, and is being replaced by veteran producer Susan Zirinsky. CORRECTION (Jan. 7, 2019, 4:34 a.m. ET): An earlier version of this story misidentified the year when Charlie Rose was fired.